Transport for London has announced a new London Freight Enforcement Partnership to tackle unsafe HGVs and take non-compliant and unsafe commercial vehicles, drivers and operators off London's streets. The news comes days after the Met Police's announcement that Alan Warwick, the lorry driver involved in the collision which killed Clare Hitier Abadie at Bressenden Place in February, has been summonsed to appear at Westminster Magistrates' Court on 21 October for causing death by careless driving. 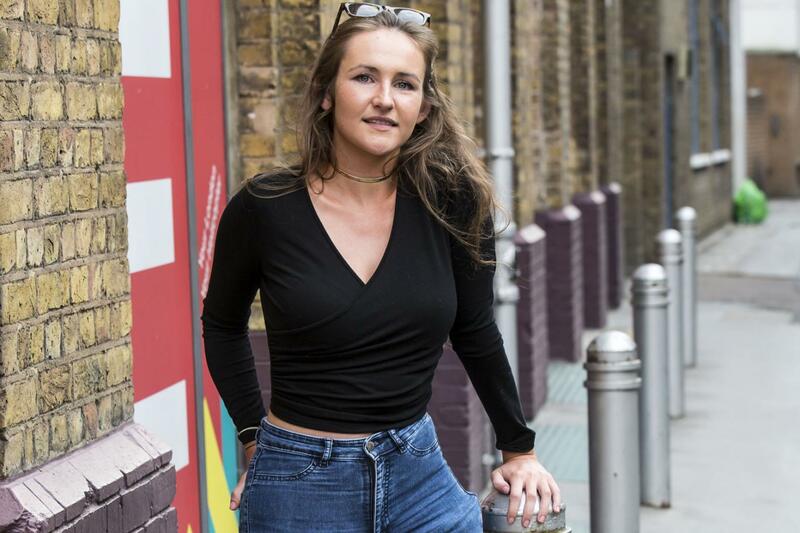 This week Victoria Lebrec, the 25 year old whose leg was crushed by a skip lorry in December 2014, has spoken about her joy at being able to walk again. The driver, Paul-Ioan Mihacea, is due to appear at Blackfriars Crown Court on 13th November to face a charge of causing serious injury by dangerous driving. The new Freight Enforcement Partnership was launched by London’s Transport Commissioner, Mike Brown MVO and Chairman of Network Rail and Chair of the London partnership, Sir Peter Hendy CBE. Evening Standard journalist Ross Lydall reports on his blog that at the launch Mike Brown said he had witnessed HGVs being pulled over in his first week in the job and it had opened his eyes to vehicles that were "frighteningly non-compliant". London and South East Traffic Commissioner, Nick Denton, also spoke at the event. LCC wrote to Nick Denton earlier this year to ask him to review the operator licence of Alan Drummond, who allowed HGV driver Barry Meyer behind the wheel of a 32 tonne tipper lorry. On 15th July 2013 in Holborn, Barry Meyer drove his lorry in a careless manner which led to the death of Alan Neve, a 54-year-old cyclist. At the time of the incident Mr Meyer did not hold a licence for an HGV and had been banned from driving five times previously. In response to our letter the Traffic Commissioner disqualified Alan Drummond from holding an operator's licence for an indefinite period. Sadly, though,the ruling came too late for Alan Neve and his family. Officers from the City of London Police Commercial Vehicle Unit, which was set up in May with funding from TfL, found that in its first month of operation, 95 of the 136 lorries stopped had to be taken off the road for non-compliance or safety reasons including lack of insurance, driving without the appropriate licence, with unsafe tyres or an unsafe load, and not accurately recording driver hours. Cracking down on rogue operators is one of the calls of LCC's End Lorry Danger campaign as much more needs to be done to put an end to illegal activity by freight operators and drivers. Over 12,000 people have signed our petition to end lorry danger, which also calls for a rush hour lorry ban and the widespread adoption of direct vision lorries. Since the launch of our campaign, the Mayor has announced that consultation will take place in early 2016 on a second phase of the Safer Lorry scheme to improve driver vision.